Denver prides itself on its wide variety of upscale dining destinations, featuring great locations, amazing ambiance, and incredible service. And let’s not forget the food, prepared by award-winning chefs who take great pride in serving you only the best. Take this opportunity to slow down, treat yourself, and savor some of the finer things in life… Bon Appetit! The tradition began with “Johnnies” on the north side of Chicago in 1952. 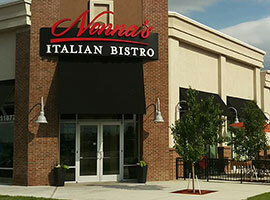 Nonna has been serving up amazing Chicago-style street food and classic Italian dishes ever since.